I started this blog to describe the cities and urban initiatives that inspire me or generate thought. Perhaps in some way I hoped it could also serve as an informal platform to share these interesting, creative, or even goofy, ideas with other interested cities or urban actors. 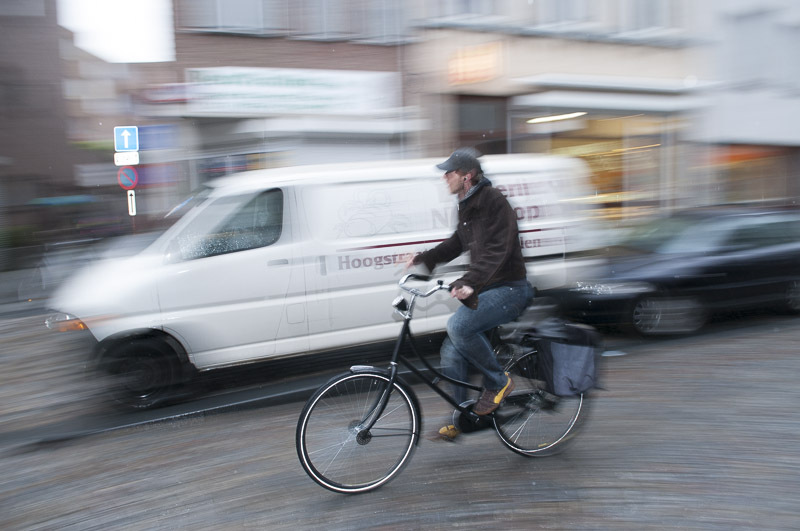 So, I was quite happy when a friend (working for the Flemish Government in Belgium) wrote to me in this regard, stating: “Thanks to your story about the No Ridiculous Car Trips in Malmö, we organized several bicycle actions in Mechelen, [Belgium] in the past year.” I’m truly humbled by this. And more, I wanted to share their example, because it is also a fun, simple initiative that other cities could follow. On dark dreary mornings, it can be less enticing to hop on the bicycle, especially if you are dressed in a suit and may arrive wet to the office. Instead the car, or bus, may seem like a more inviting option. Urban planners are well aware of this, even in cities with sound cycling infrastructure: cycle commuting declines over the winter and early spring, rising again in spring and summer when daylight and sunshine return. 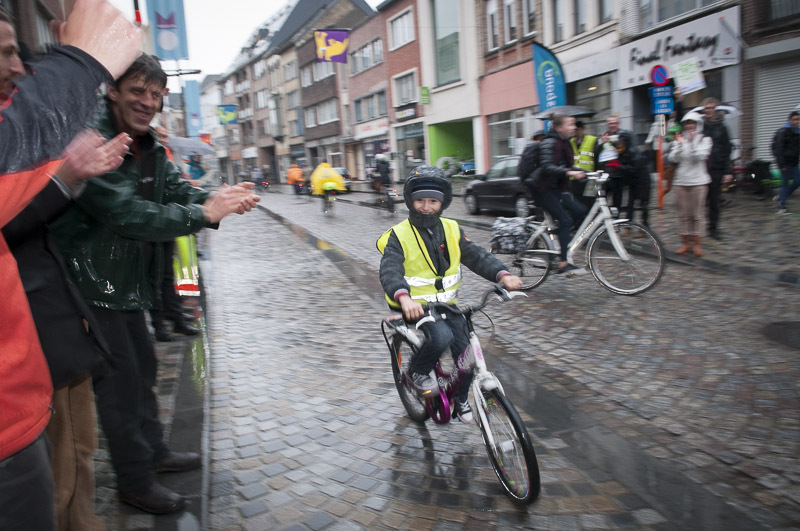 To encourage diehard cyclists (and inspire halfhearted cyclists to bear the elements) Mechelen offers a bit of positive reinforcement by surprising cyclists with a bit of friendly cheer – applauding them and providing words of encouragement during their morning commute. In March 2014, this event was organized for the 10th time. To celebrate, other Belgian cities joined the campaign. 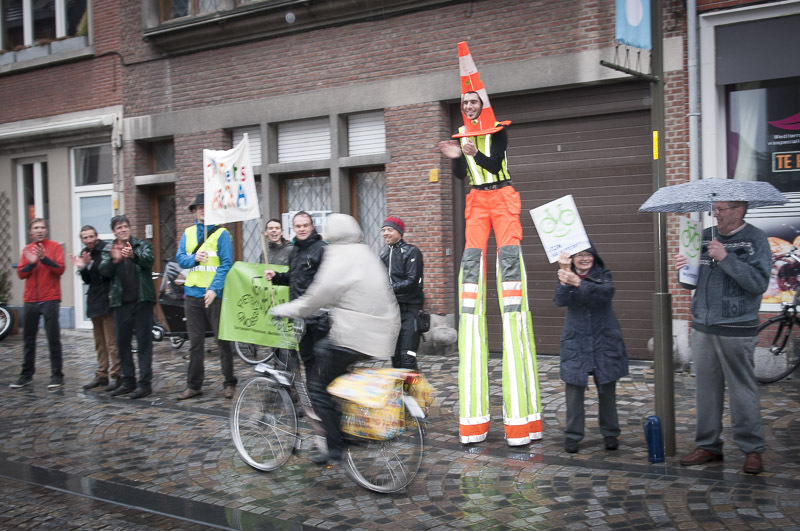 In total, 11 applause squads stood outside (mind you, in the pouring rain) offering a cheering roar to drenched cyclists as they passed through the cities of Antwerpen, Geeraardsbergen, Gent, Heist-op-den-Berg, Hove, Kapelle-op-den-Bos, Leuven, Mechelen, Melle, Temse and Turnhout. Several months on, this applause squad has become an appreciated trend. 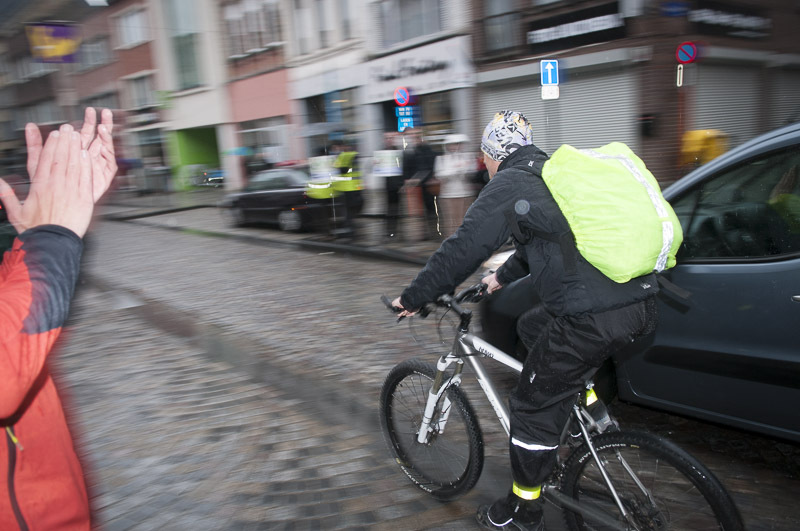 Cyclists smile and wave on their commute to work, and the applause squad has been acknowledged in the Flemish media (in articles and a video). 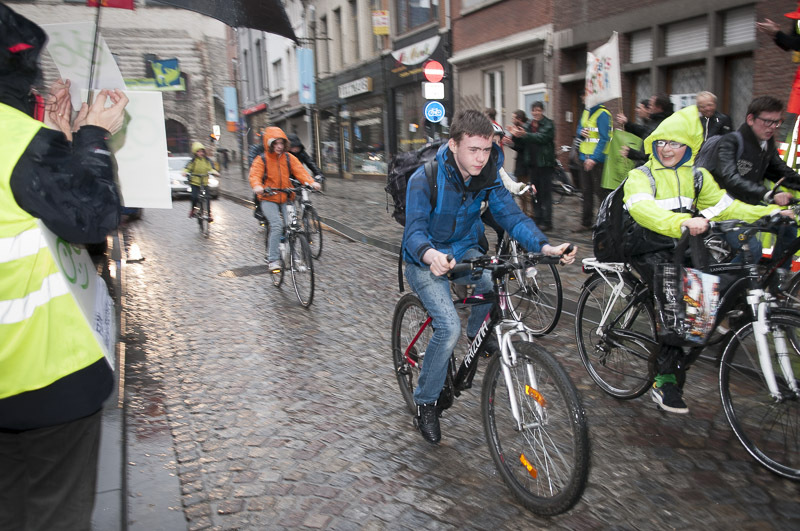 In Mechelen, this is organised monthly to encourage greater city cycling. And in the words of my friend, “The positive actions in Malmö brought us to this idea.” (Blush.) So, it’s time I return the favor and pass on this interesting initiative. Every time a cyclist passes, cheer them on and thank them for cycling.